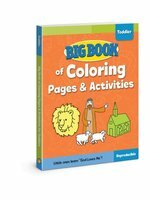 No matter which children's curriculum you use or what type of children's ministry program you have, Big Books will provide hours of creative Bible learning and fun! You'll find games, art activities, coloring pages, creative storytelling, object lessons, Bible talks, crafts, puzzles, science experiments, and more! Plus each Big Book is reproducible and comes with perforated pages and a Scripture index. Graphs, mazes, codes, math problems, acrostics, and more! Building a Church of Small Groups OP!!!! This text tells how a church can become a place where people experience transforming community. It presents the theological, sociological, and organizational underpinnings of small groups, as well as showing how to recruit, train, and support group leaders. Until Relatively Recently, the history of higher education in the West was the story of a Christian academic tradition that played a major role in both intellectual history and the history of the church. Over the last one hundred years, however, we have witnessed the progressive secularization of higher education. George Marsden goes so far as to suggest that the American university has lost its soul. But what was that putatively Christian soul? Precisely what in the Christian tradition has now been lost? And what should we know about that tradition as a condition of practical wisdom for the present? 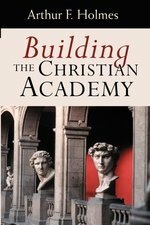 Seeking to answer these questions, Arthur Holmes here explores the Christian tradition of learning, focusing on seven formative episodes in history that pertain to building and maintaining a strong Christian academy today. Holmes's fascinating treatment is set within the history of ideas -- the early church in a pagan culture, Augustine's formative influence on monastery and cathedral schools, the rise and decline of scholasticism, Renaissance humanism's contribution to the Protestant Reformation, the utilitarian view of education that accompanied the scientific revolution, and struggles with Enlightenment secularization -- and incorporates the educational thought of Plato and Isocrates, Clement and Origen, Abelard and Hugh of St. Victor, Aquinas and Bonaventure, Erasmus and the Reformers, Francis Bacon and John Milton, and John Henry Newman. 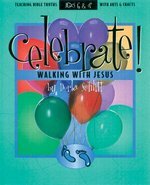 No matter what the occasion, no matter what the topic, parents, teachers and home-schoolers can turn to the Celebrate! series of arts-and-crafts books for some creative inspiration. Each book in the six-book series is chock-full of fun, easy, educational crafts for children ages 6 and up. Simple lesson plans, Scripture readings, detailed instructions and reproducible pages take these books to the head of the class! Buy all six and teach your children about the wonders of God in a creative new way. Each of the 34 articles explores a specific area of importance to childhood education. Together they present an up-to-date and complete picture of the Christian education of children. Ten front-line Children's Ministry experts peeked out over the horizon to identify ten trends shaping ministry in the next ten years. Plus six more must-know insights--and practical activities that help you take advantage of shifting trends in your Children's Ministry. It's good advice for scouts...and even better advice for you. Are you signed up to serve at a Christian camp this summer? Whether you are a veteran staffer or have never been to camp before, this book is for you! Get your heart ready for the spiritual challenge of camp leadership. Consider why you are going to camp, and what will be expected of you. Learn what makes kids tick, and ways of developing healthy relationships. Prepare to lead effective Bible discussions. Gain skills in managing issues and problems. Become confident in sharing your faith in Jesus. 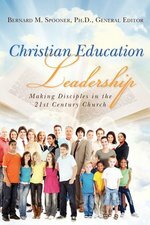 Book Description: The collective work of twenty Christian leaders known for their expertise in Christian education, this book is an up-to-date, comprehensive resource on Christian education, with the emphasis on making disciples as Jesus instructed. This volume addresses spiritual formation for all age groups and gives guidance on how to develop an effective church discipleship ministry. 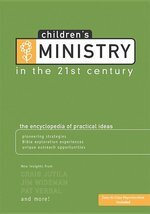 The book shows church leaders how to provide for the spiritual formation of all age groups, including people with special needs, who are often neglected. The aim of the book is to forge a strong connection between what happens on Sunday and how people live every day. The goal is discipleship, stressing how to develop a congregation that is on mission rather than merely a group of people who convene on Sundays. The book contains a strong emphasis on missions as an integral part of church identity and activity. Church leadership must provide ways for growing and encouraging disciples in being on a mission for Christ. At the core of the book is Jesus' command to his disciples, including church leaders today, "Go . . . and make disciples of all the nations, baptizing them in the name of the Father and the Son and the Holy Spirit, teaching them to observe all that I commanded you" (Matthew 28:19-20, NASB). As we enter the third millennia of the Christian church, church leaders must learn and practice ways to truly obey Jesus' command. This comprehensive book provides guidance and inspiration for doing that. The Christian leaders who authored this resource also point to the urgent need to equip and involve lay people in all the work of the church. The authors call for church leaders to involve church members in planning, decision-making, and action rather than to promote, on purpose or by default, a spectator mentality. Citing Ephesians 4:11-12, the authors emphasize that a church's staff members exist to equip and deploy all believers in the mission and ministry of Christ. The book stresses guiding Christian leaders to move their church from a school-with-pews mentality to a place that heeds the biblical call to develop disciples. Instead of just maintaining members, church leaders must focus on making disciples in order for their congregation to be on a mission as a vibrant force for change in their community and around the world. WHO NEEDS THIS BOOK? University and seminary professors will find this volume a good choice for a textbook for preparing ministers for church ministry. It will also be a valuable tool for pastors, general staff leaders, and practitioners for the various age group staff and key volunteer leaders in the local churches. A resource on the distinctiveness of true Christian teaching.